Applying for an FID card Worcester is not as complicated as most people think it to be. The requirements are quite straightforward. However, you have to come to terms with the fact that not every applicant ends up qualifying. The reason for this is because there are so many considerations that are made. In this post, we will be examining the three important points you need to understand ab out applying for the FID card. The first step is to complete a certified gun safety course. This is a requirement by the law. 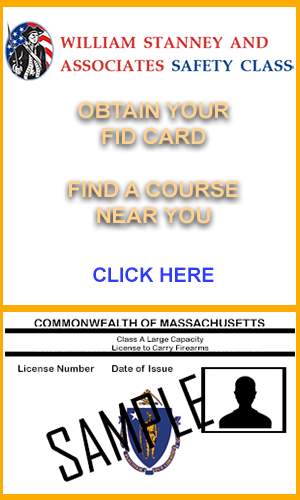 No person can be issued a gun license in Massachusetts without first completing an approved gun safety course. You can either use a private company or use the courses being offered by the local police department. The basic charge for the residents of the City of Worcester is usually $20 and $35 for the non-residents. Trainers will accept money orders, checks and even cash. You need to register in advance on a weekday. With the Worcester police departments, the spaces are limited and hence available on first-come-first served basis. The gun safety courses don’t take long. They last a few hours. You will be educated on gun laws, gun handling and spend time on the firing range. Private companies offer advanced units which may include self-defense. At the end of the course, you will be awarded with a gun safety certificate. This will be needed when applying for an FID card Worcester. If your criminal record is not that good, you might want to talk to an attorney to review your options. If you have ever been committed in an institution for mental health or any addiction, you need to get a signed affidavit from your doctor that states the condition no longer affects you. Bear in mind that the chief of police reserves the right to approve or deny an application. If your application is denied, you need to appeal it in the district court within 90 days.